Welcome to Polti – the London home of Indian market food. 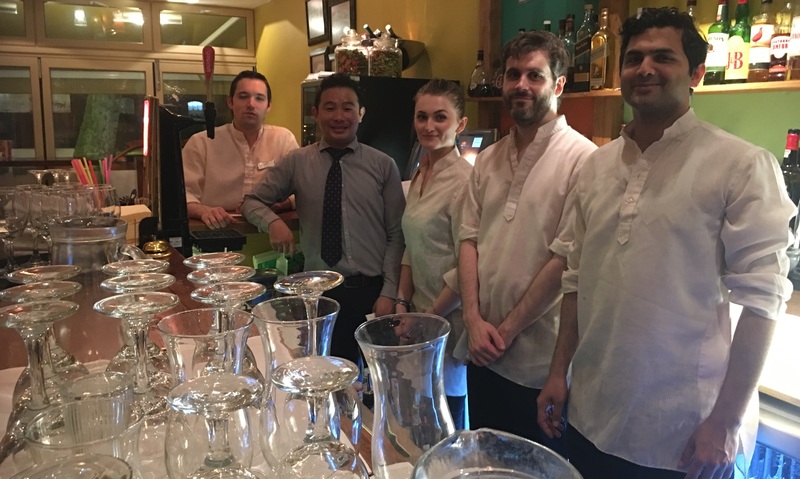 Potli opened in 2011, London’s first Indian market kitchen – providing a fresh burst of flavor and colourful style to Hammersmith’s restaurant scene and quickly receiving rave reviews for its wonderfully different food experience. At Potli, we pride ourselves on serving delicious, freshly prepared and unpretentious Indian food as a shared dining experience. Our authentic menu of curries and other Indian favourites are created by marrying exotic spices with local produce. This uniquely appealing combination of original & skillfully cooked dishes, a friendly & buzzy environment and great value has seen it become an established favourite with locals and London’s foodies over the years. We’ve also scooped many coveted awards and accolades – most recently our Black Daal was listed in Harden’s Guide of top 5 Indian dishes in London (2017). Come & enjoy a curry, a traditional drink and soak up the atmosphere. We look forward to welcoming you. 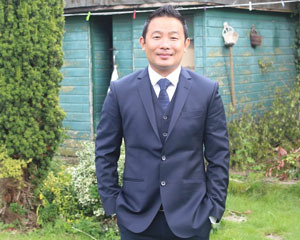 Uttam came to the UK after training with Radisson Hotel Group in India. He’s been founder, patron and maitre d’ at Potli since it’s opening in 2011. Over the years, the restaurant has received great guest reviews as well as regular recognition from coveted guides including Michelin, The Good Food Guide & Time Out. 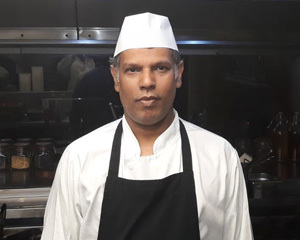 Uttam’s naturally gregarious and friendly nature means he’s an instinctive maître d’, never happier than when he’s working the floor and greeting guests – many of whom are now friends. His dream has always been to create restaurants that become well-loved institutions within their local community, employing, serving & feeding locals and enhancing life. 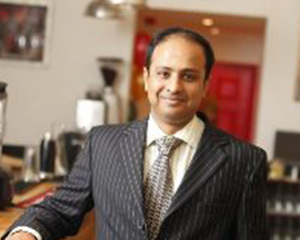 Our Head Chef, Babul Dey, has been cooking at Potli since we first opened in 2011. He is, in fact, our very own ‘potli’ – which means little bag of gold – and is always full of enthusiasm and inspiration. His unique techniques & passion for creating the essence of what makes Potli truly special is what gives every dish their distinct flavours. 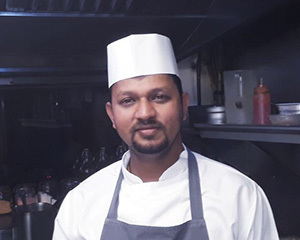 Responsible for driving our aim to provide London’s most sophisticated contemporary Indian market dining, Babul has been behind Potli’s continual recognition in food guides and ‘best of’ lists, frequently included in a variety of different good food guides from Hardens to Time Out and Michelin. An incredibly talented, dedicated and humble chef who has worked in the Indian hospitality industry for the last 15 years. 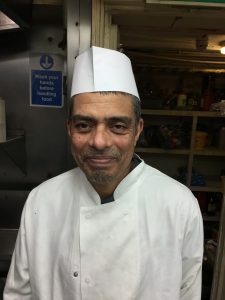 His passion with curries and all the tandoor dish is tremendous and matched only by his dedication to making all the home based Indian kitchen spices – the ones that give our dishes their unique and distinct flavours, Potli’s food was given 5/5 by Hardens’ during his admission year. With a post-graduate in International Business Management from University of West London, our business manager joined the company a few months after opening. He’s a talented manager and our go to man for driving the business, monitoring security and all the day to day procedures involved in running the company. His appropriate sales and marketing strategy, position staffs effectively and allocation of responsibility are being huge beneficial to meet company’s objectives. The key person to keep abreast of trend and development within the business sector. 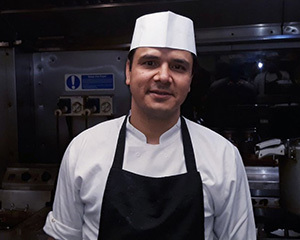 Humble and experienced Chef Shiraj has worked with us for the past two years as a tandoor chef. 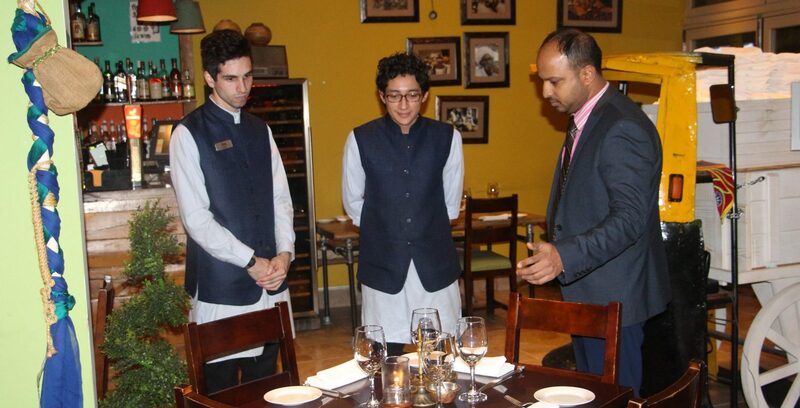 His skill, talent & dedication makes our all our tandoor dishes’ the best they possibly can be… every time! Hardworking and highly motivated tandoor chef who is always dedicated to his department. Since he joined the company, the quality of tandoor dishes has been continuously liked and highly rated by customers with excellent feedback. 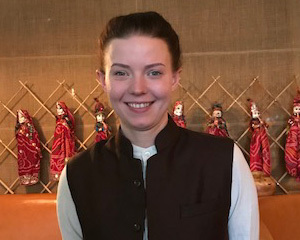 With a bright smile and welcoming personality, Dominika supervises the restaurant on a day to day basis and is always eager to anticipate the guests’ needs. Her attention to detail and cheerful can-do attitude makes every guest feel special. She also has an extraordinary ability to understand and describe all the ingredients, spices and dishes perfectly, so guests can order the dishes they’ll most enjoy. Want to join our team, click here !